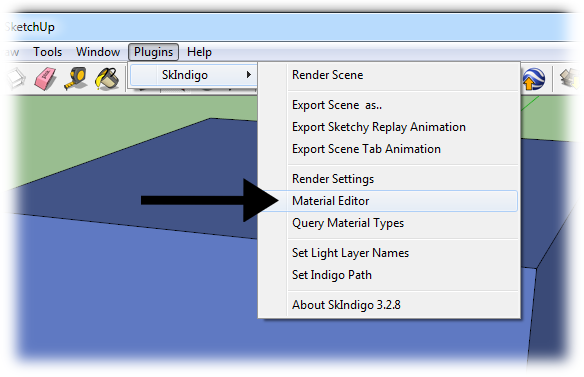 This tutorial will cover how to download and use materials from the online material database using the SkIndigo exporter for SketchUp. 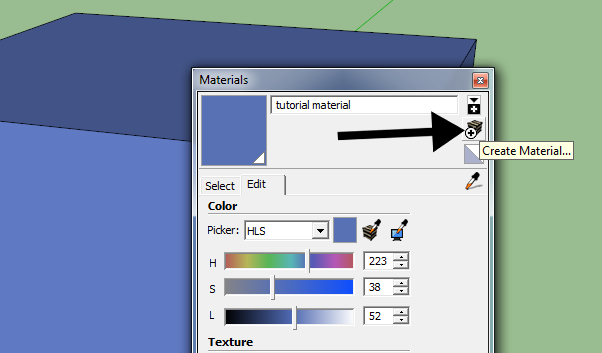 There are two ways to use materials from the online database in SketchUp/SkIndigo: loading directly into SketchUp, and externally linking to downloaded materials. We'll cover both options in sequence, starting with the simpler direct import method. 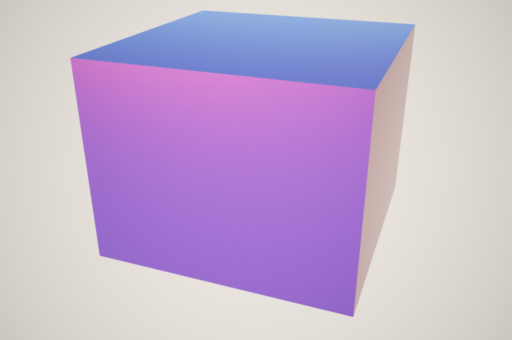 Let's start by opening SketchUp and making a simple object to apply the material to (in this case a cube). We'll also want to create a new SketchUp material (via Window menu -> Materials -> Create Material) to hold our Indigo material, and apply it to the newly created cube. 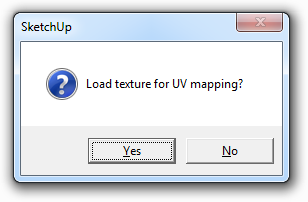 If we choose a material and double click it, SkIndigo will ask if you'd like to load it into the currently selected material; click "Yes", otherwise it will want to save the downloaded material to disk. 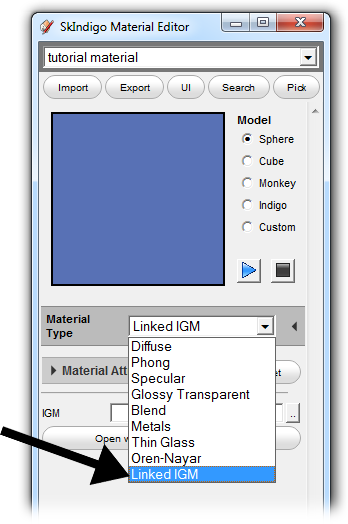 Click the ".." button next to the "IGM" field, and select a downloaded IGM or PIGM file. This will link the downloaded material to the SketchUp material so that when Indigo renders the scene, it will use the linked material.